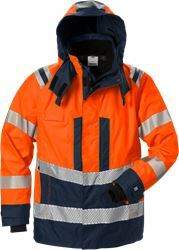 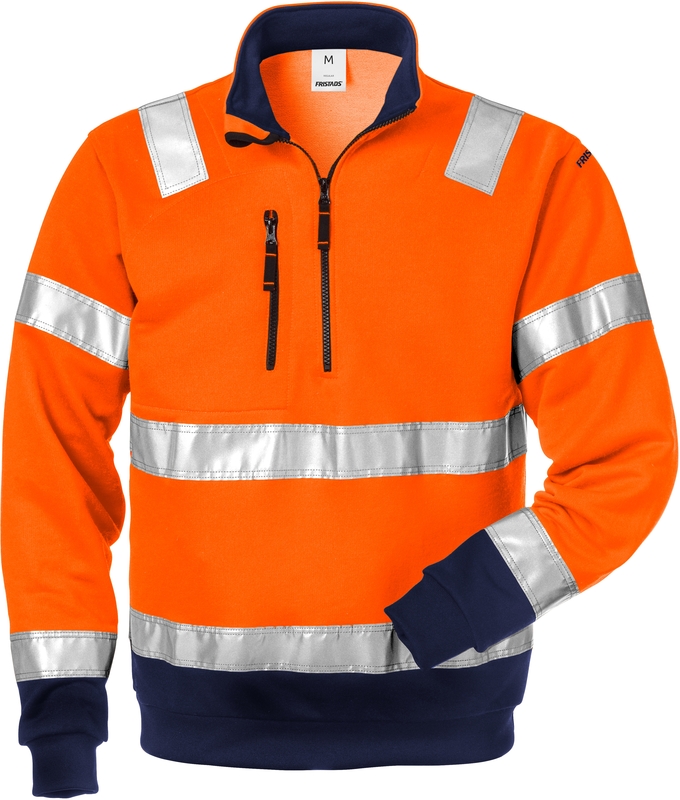 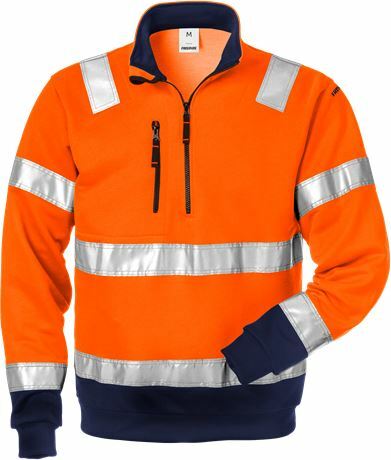 Durable high visibility sweatshirt with short zip to top of collar, can handle a high number of washing cycles. 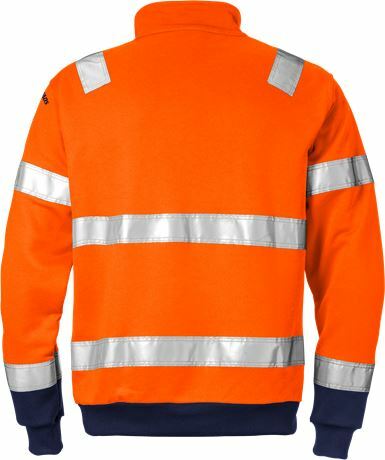 Easy to embellish. 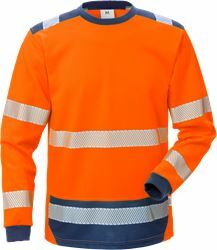 Short zip to top of collar / Phone pocket with zip, and opening and loop for earpiece / Elasticated waist and cuffs / Reflective tape on shoulders / Approved according to EN ISO 20471 class 2 – sizes XS – S and class 3 – M–4XL / Leasing laundry tested according to ISO 15797 / OEKO-TEX® certified.